Logistics processes have some characteristics which are fundamentally challenging from a business process management perspective. Their execution usually involves multiple parties and information exchanges and has to ensure a certain level of flexibility in order to respond to unexpected events. On the level of monitoring, potential disruptions have to be detected and reactive measures be taken in order to avoid delays and contract penalties. 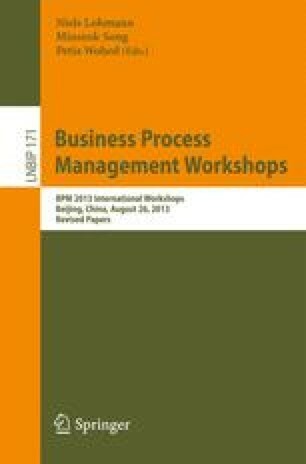 However, current business process management systems do not exactly address these general requirements which call for the integration of techniques from event processing. Unfortunately, activity-based and event-based execution paradigms are not thoroughly in line. In this paper, we untangle conceptual issues in aligning both. We present a set of three challenges in the monitoring of process-oriented complex logistics chains identified based on a real-world scenario consisting of a three-leg intermodal logistics chain for the transportation of goods. Required features that such a monitoring system should provide, as well as related literature referring to these challenges, are also described.